A few weeks ago this lovely box showed up on my doorstep, thanks to Klout & People Magazine! 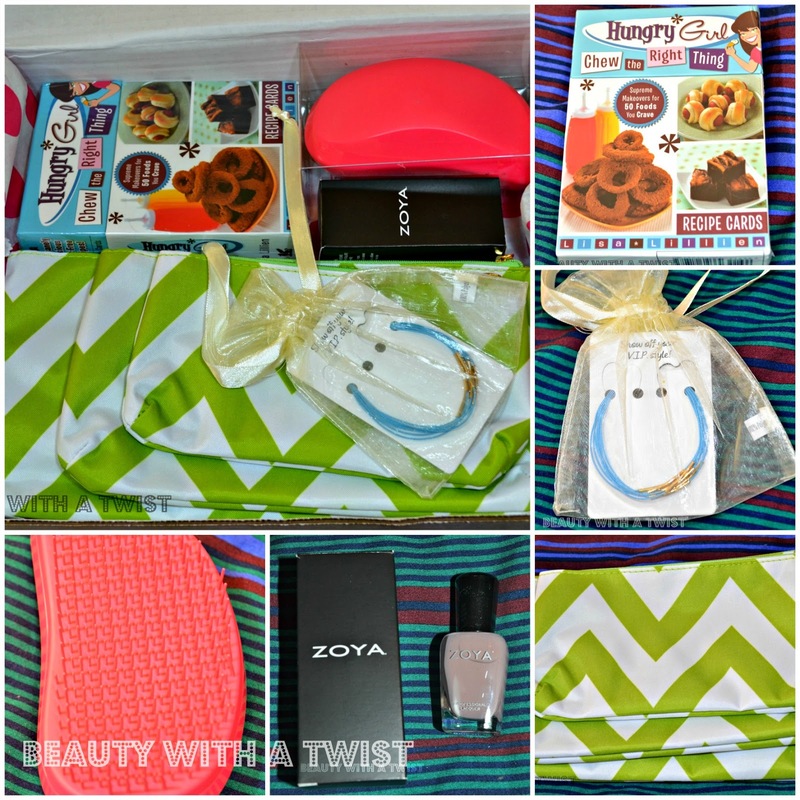 As you can see, it's chock-full of FULL sized goodies, such as a set of makeup bags (which I always need) and ZOYA nail polish (already used it in some nail art)! They also included a super cute bracelet, a hair brush (perfect for getting out my tangles), and Hungry Girl Recipe cards. I'm excited to try the recipes out, sometimes I get stuck in a cooking rut, so these should help! As if that weren't enough, People was generous enough to include a FREE 3-month subscription!